Myself and another member of the College of Science IT web team met with the Physics & Astronomy department head to discuss redesigning the department website. 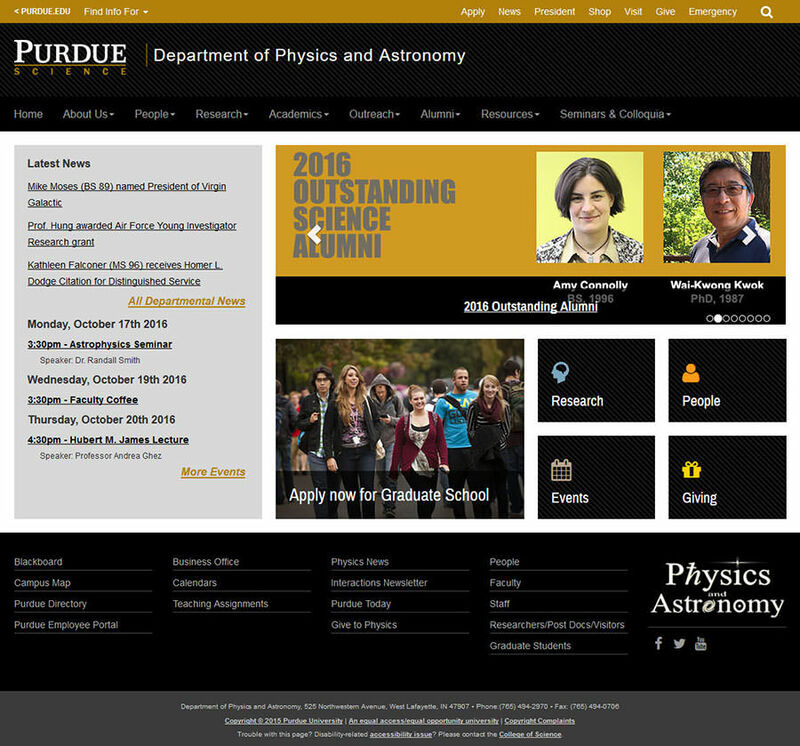 After analyzing several layouts, we decided to use Purdue's responsive web templates. Reorganizing the people directory pages (faculty, staff, graduate students, etc.) and making them searchable. Also, each page needed to include a search box. 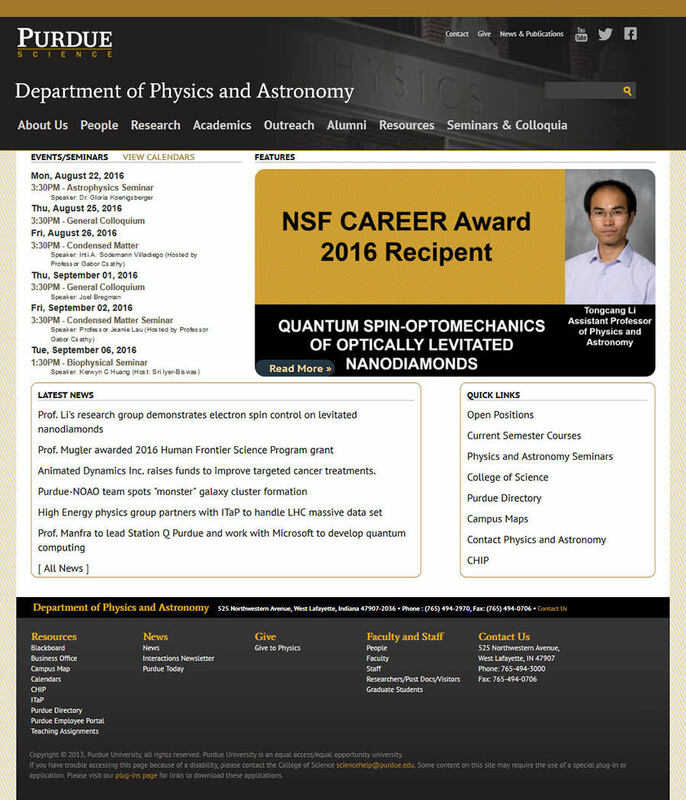 We made several demo pages for the faculty to review. I also prepared Google Analytics data from a previous academic year so they could review the information. After several webpage revisions, the faculty approved the designs for the homepage and people pages. It took us several weeks to convert the website to the new design. I built the majority of the pages and a team member redid the people pages. Another person built a calendar application, in order to make it easier to add and modify events. I also made some changes to the research section, per the department head's request. After the website went live, we began assisting the faculty and staff with updating and organizing their website's content. Also, I trained people on how to add events and then, based on feedback, minor modifications were made to increase the app's usability. The website is now responsive, with improvements in design, search engine optimization, and usability.